I have a small collection of guitars. It won’t grow any bigger, because I don’t play very well; with a small collection like this there’s a guarantee that I’ll pick up each of them and plonk out a few chords fairly regularly. Below is a Hohner HW-420G dreadnought-style acoustic. It’s a cheap model, but it plays well and has a nice, loud tone. The next one is a Paul Reid Smith Santana. I picked it up cheaply at a second-hand shop in Dundee. It has a lovely, warm, mellow tone and would make a fine axe for a jazz player. Number 3 is a Hofner Congress from 1964. Click on the picture for more information. Next one up if a very basic vamper, a Hofner Square Dance from 1954, bought new by my dad. Click on the picture to find out more. This is a “Guermantes” Spanish guitar, another one bought by my dad in 1954, from Ivor Mairants’ shop in London. I can find out nothing about the name. 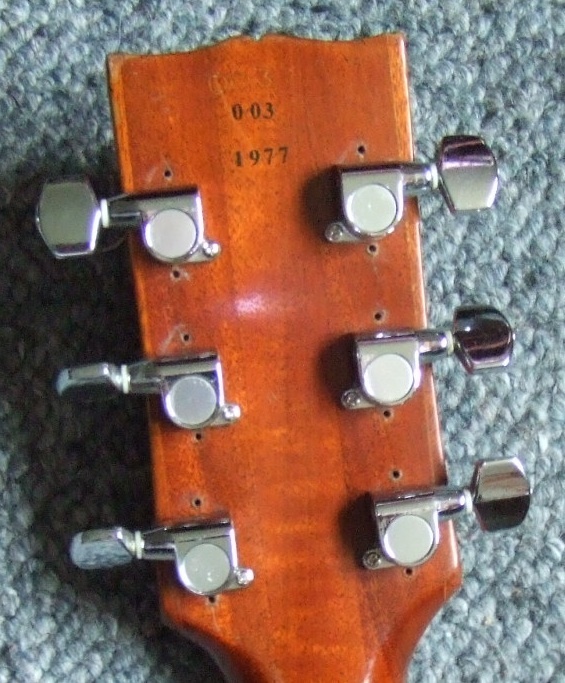 The guitar is most likely to have been made in one of the post-war guitar factories in Valencia; the label could even have been made for Ivor Mairants. This was many years before the Trades Descriptions Act. Next is my Fender Telecaster. It’s a 1996 ’52 Reissue. This is my Fender Stratocaster. 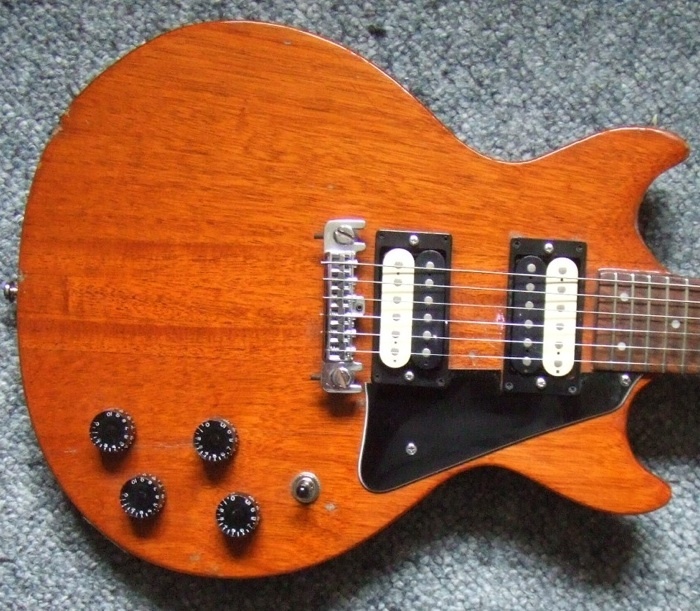 The serial number indicates that it’s a 1983 model, the configuration says it ought to be a Dan Smith; however, having looked inside it, I am sure that it isn’t a Dan Smith. My guess is that it is a neck from one guitar and the body from another. The next one is a bass by Oakland. I was given this guitar and I can find out nothing about it. It plays really well. Apart from all the above, there are the couple of guitars my daughter owns – a Squier Strat and an Epiphone Hummingbird..